Some one asked me about this, but I can't locate the youtube video nor posting about it. Age is catching up its so forgetful of me, I did a quickie and here it is. 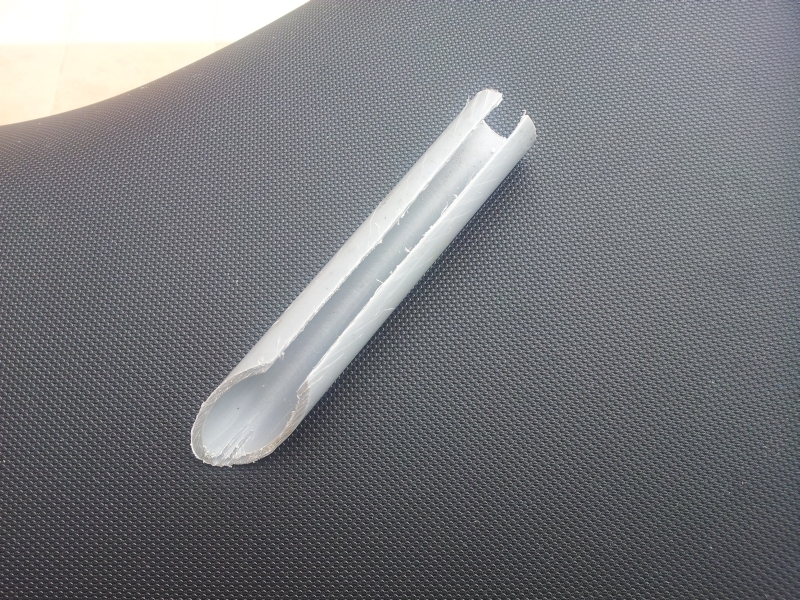 Nothing special, take a piece of PVC tube about 4 ~ 6 inches long cut a tapper on one end and make a slit right along its length to hold the seedling. Above how I insert or hold the seedling and use the tool to protect it and push everything into the hard media. That's it, I use it for tomatoes where its soft and fragile. This "seedling" above is hardly a seedling its from the bush nearby. I love it!!!! 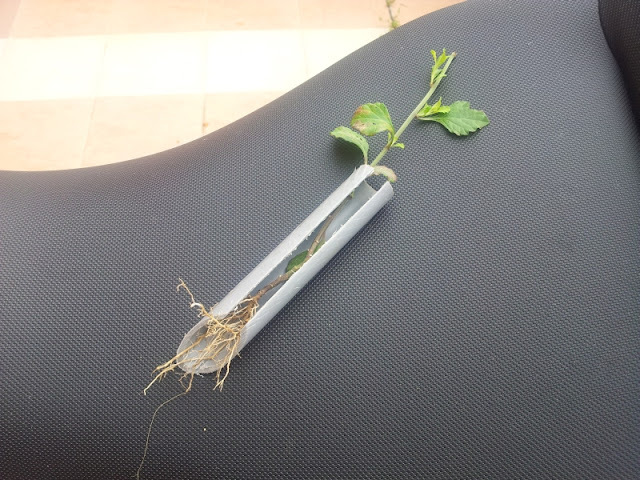 That's an easy and effective was to "set" seedling in pea-gravel or hydroton without damaging the roots!!! Thanks for sharing!